Tattooing is an art that walks around in the world with someone for as long as they live. Creating a tattoo also poses many of the same questions that creating a work of art or an exhibition does. People choose to get tattoos for many reasons. Some get a tattoo on a whim simply because they think it looks nice, some get one to commemorate something important to them, and some to pay respect to a lost loved one or as a tribute to their inspiration. 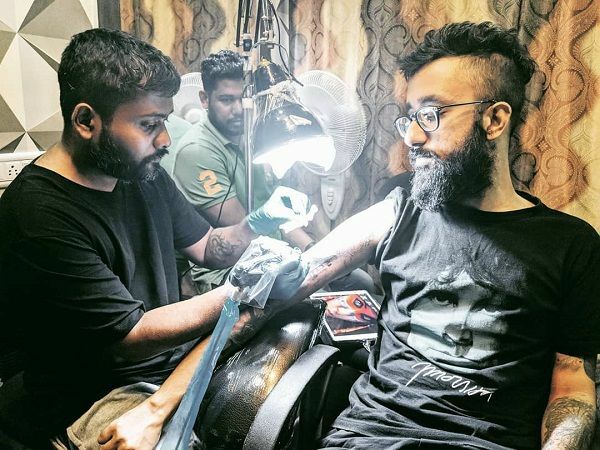 Tattoo art is tremendously growing in India. There are some best, and best tattoo artists present here. Let’s explore the talent from Kolkata. Rajdeep pal who is popularly known as Rajdeep ink pal, owns the most famous tattoo studio in Kolkata, 3 cube tattoo. He has studied MBA from IBS Kolkata. He uses computer-aided software to project the tattoo on the skin for selecting well. 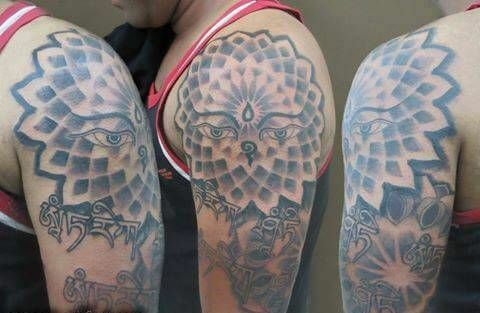 He has specialization in inking tribal or Egyptian designs. He also inks 3D tattoos. Two to three techniques are involved in 3D tattoos. “One is where you drop a shadow of the object on the skin. For example, a butterfly will appear as if it’s sitting on the skin,” says Rajdeep. 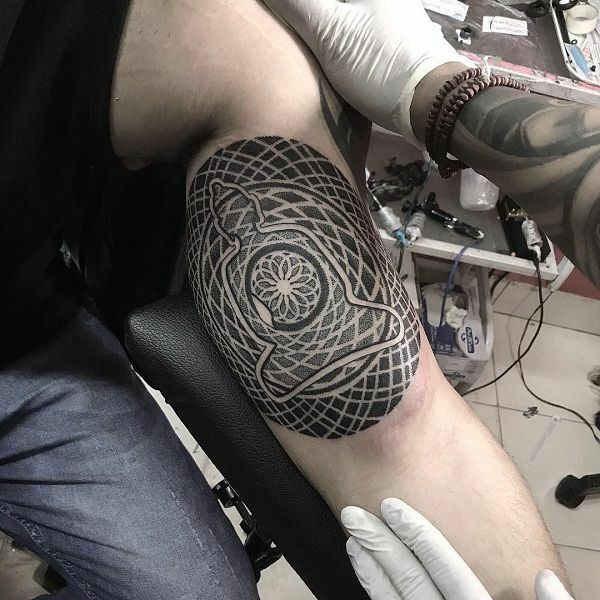 The other technique is ‘under the skin’ where the tattoo appears as though the skin is torn apart, creating depth. “Motifs like butterfly and spider are some of the common designs used in 3D tattoos,” adds Rajdeep. Niloy das is the best-known tattoo artist in the city. He has done his bachelors in commerce from esteemed st. Xavier’s College Kolkata. He has an interest in art and music since childhood but choose tattooing. Not only tattooing he is also a renowned drummer in Kolkata. He started tattooing in 2010 as part-time keeping music as his first profession. In September 2012 it was a huge leap taken by him to open the biggest tattoo studio in the city and as well in the poshest area. The demand for his work forced him to leave his career as a musician and choose to tattoo as his only profession. He gets featured by the German tattoo machinery giant ‘Cheyenne’ and to work in their row at conventions worldwide. A self-taught artist has won million hearts with many national and international awards. He had achieved his most significant milestone in 2015 when Obi was featured alongside 99 other tattoo artists from around the world in ‘THE WORLD ATLAS OF TATTOO’ published by YALE UNIVERSITY PRESS and authored by noted tattoo historian ANNA FELICITY FRIEDMAN, which featured the top 100 tattoo artists from different parts of the planet. Abhinanadan grew up in a refugee colony for Bangladeshi immigrants who were forced to abandon their homeland during the partition of India. He lived in between the art and craft since childhood. He has inked many celebrities including Kangana Ranaut and Sonu Nigam. He is specialized in geometry designs. Debanjali Das is the emerging tattoo artist of India. 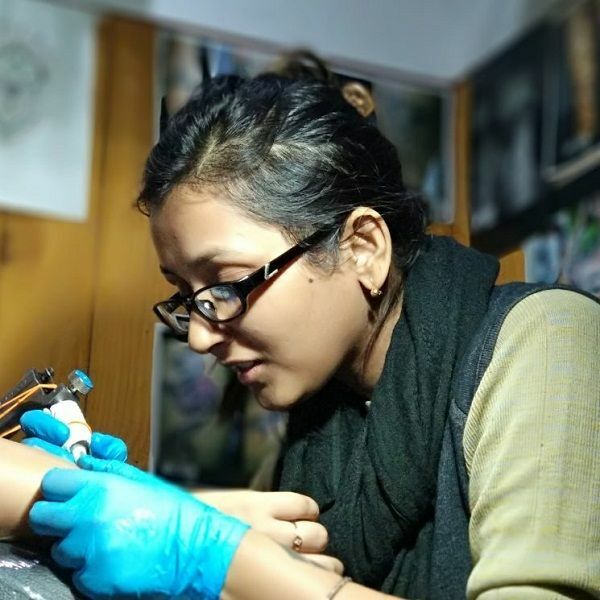 She is considered as the best female tattoo artist in Kolkata. In an interview, she said that tattoo, just happened by chance to get rid of the frustration from the corporate world. Although she was never into something different, she is graduated in arts and crafts from Government College Kolkata. She worked with Lizards Ink’s team and learned most of her skills there. The artist gives Lizards’ team the credit of molding her tattoo art. Today, Debanjali owns her Studio called the Guiding Monks. The artist says that her greatest inspiration and idol in the tattoo industry is Jeff Gogue. Anjan pradhan is from a non-art background. Facing many odds while entering into the Tattoo industry, he is now one of the best tattoo artists in India. Anjan has done graduation in Business studies and got inspired by his grandparent’s poke tattoos. In an interview, he said that “For me, the tattoo is everything because whatever I have achieved in life is only because of tattoos. So much love I have received is only because of tattoos. While I’m doing a tattoo on someone’s body I keep trying to do something very different, I try to shape my client’s emotions and wishes in that portrait so that he leaves and lives with a smile. It’s that smile that matters to me the most.” He has learned to tattoo from Lizard’s Skin Tattoo Studio and now owns of Unik Ink Tattoo Studio. Sid Thapa founded the most renowned tattoo parlor of Kolkata named Calcutta ink. He owns it with six other tattoo artists. He is quite a pro and ensures his clients that they will get the most assured results with proper hygiene. He has lots of stamps on his body including the portrait of his mother and grandmother. 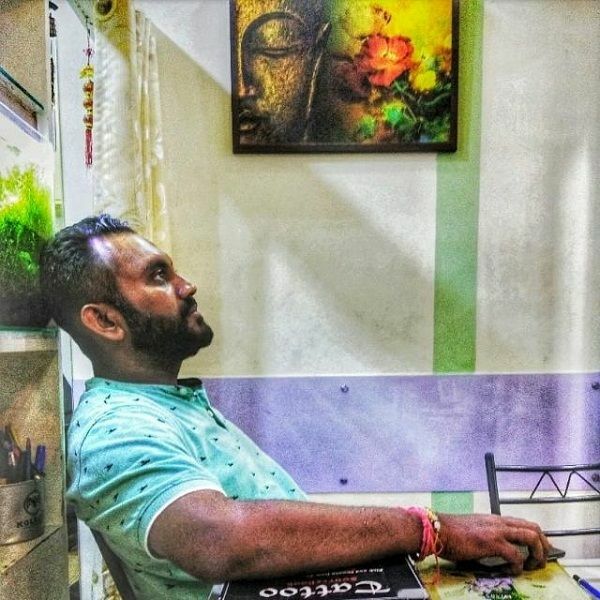 Krishnendu has earlier worked as an artist manager with the biggies of Bollywood but hasn’t found any satisfaction in the industry so came back to Kolkata and worked as a manager in a Tattoo studio and on 9th November 2013, he founded his tattoo studio called, Carapace Tattoo and Piercing. He said that Working in the creative field and being associated with the entertainment industry has always been my forte. Along with a studio in Kolkata, he also owns a tattoo parlor in New Delhi.